During November I attended two of the larger wine festivals in the state. Today and next week I will recap my experiences and recommend some wines that stood out at each event. Kennewick was the site of this year’s 33rd annual Tri-Cities Wine Festival on Nov. 5. 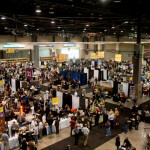 This was my 27th year at the festival, which featured over 400 wines from the Pacific Northwest. 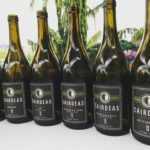 The sheer volume of wines, along with the number of new wineries, at the festival is always mind-numbing, but it’s indicative of the continued, explosive growth of the industry in Washington. Best-of-show honors went to the Smasne Cellars 2007 Block #3 Syrah, which should run you about $35 a bottle according to the winery’s website. 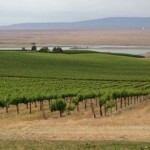 I tagged winemaker Robert Smasne as one of my favorites during Seattle’s Taste Washington event last spring, and his wines earned favor with the Tri-Cities judges, including gold medals for a 2008 Petit Verdot and a 2008 Barbera. Smasne’s 2008 Carménère also was a knockout. Its peppery aromas and flavors are the purest representation of this varietal grown in Washington that I’ve tasted to date. 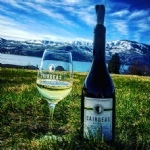 Several newer wineries also impressed me, including West Seattle’s Cairdeas Winery (pronounced Car-dess), which featured the beautifully crafted 2010 Nellie Mae roussanne/viognier blend, and a white Bordeaux blend from Cloudlift Cellars in Woodinville, a winery so new it’s still launching its website. Other red wine notables I liked included the Pend d’Oreille Winery 2008 Malbec, the Anelare 2008 Cabernet Sauvignon, the Terra Blanca Winery 2007 Red Mountain Onyx and the 2007 Intrigue from Northwest Cellars in Kirkland. The Intrigue, a cabernet-based blend of four red varietals, was particularly enjoyable, with compact flavors of black plum, cassis and espresso that melted into a plush finish. My favorite guilty pleasure? The peachy, lick-smacking 2010 Estate Grown Viognier from Foxy Roxy, another relatively new winery, one located in the middle of nowhere near the town of Royal City. The wine’s full-bodied sweetness and ultra-long finish made for a refreshing end-of-evening wine after copious tastings of red varietals. 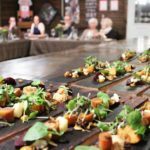 If you’re into awards – and there were plenty given at the festival – you can access the complete list of winners at tcwinefest.com. Next week I’ll recap the Taste of Tulalip, a two-day, food-and-wine extravaganza held Nov. 11-12 at the Tulalip Resort and Casino near Marysville. DAN RADIL is a wine enthusiast who lives in Bellingham. Reach him at danthewineguy.com.